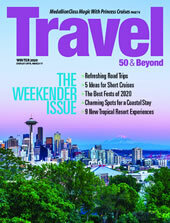 Vacations To Go is America's clearinghouse for deeply discounted cruises. Since our founding in 1984, we have provided more than seven million savvy shoppers with a dream vacation at a fraction of the regular price. Vacations To Go is a bonded and fully accredited travel agency, and a member in good standing of the Airlines Reporting Corporation (ARC), the International Airlines Travel Agent Network (IATAN) and the Cruise Line International Association (CLIA). We have achieved the highest level of recognition possible from every major cruise line in the world for our exceptional sales and superior service. Click here to read what top execs at every major cruise line, tour operator, river cruise company and resort chain have to say about Vacations To Go. Vacations To Go is an accredited member of the Better Business Bureau (BBB), with an A+ rating, the highest rating they award. Back in 1984, we practically invented the last-minute discount by convincing major cruise lines to drastically reduce the price of unsold cabins close to departure. Rather than offer "sale" prices to the public (and thus undercut their full-fare business with traditional travel agents), top cruise lines prefer to discount unsold cabins to our exclusive and highly confidential client list. Our clients have confirmed reservations, just like full-fare passengers, and no one on the ship knows what they paid (unless they decide to brag a bit). Click 90-Day Ticker to scan our list of last-minute markdowns. Last-minute reductions typically occur within 90 days of departure and are most prevalent during the slow season for the particular destination. Potential savings of up to 82% make this a great way to cruise for cost-conscious travelers with flexible schedules. For customers who must plan their cruise more than 90 days in advance, click on Find A Bargain to compare early-bird discounts and other cut-rate promotions now. 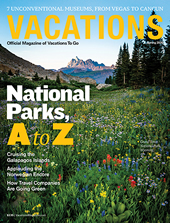 Vacations To Go is a wholly-owned subsidiary of Vacation Publications, Inc., which publishes magazines, books and special reports for the travel and mature markets. The company has been named one of the "100 Fastest Growing Companies in America" by Inc. magazine. 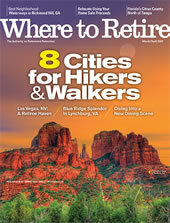 We invite you to sample any of our national consumer magazines by clicking on the link below.